Last edited by DK; Aug 23, '12 at 5:31 PM. Last edited by Back2denali; May 15, '13 at 10:22 AM. Reason: Amazon link? Early brass rivet Joes <<< Will buy these PM me with what you have! UPDATE: Looks like I snagged a LIZARD so just need BATGIRL, ISIS and The INVISIBLE GIRL. BATGIRL: would like LOOSE and COMPLETE but will consider what bits and pieces may be available. ISIS: would like LOOSE and COMPLETE but will consider what bits and pieces may be available. The INVISIBLE GIRL: would like LOOSE and COMPLETE but will consider what bits and pieces may be available. NO LONGER NEED The LIZARD: Snagged one . Thanks to all in advance for any assist with these current wants. Who KNOWS what EVIL lurks in the hearts of men? The SHADOW knows!! Im looking for a Remco Space 1999 Stun Gun. Last edited by Paperback hero; Aug 12, '12 at 9:18 PM. Looking for Marvel Legend figures (Wasp, Namor, Valkyrie, Widow) or Masterworks books, make me some deals. C-5 - C-10 8" Mego Boxed Spider-Car instruction sheet or repro is fine. If you have one or more, please send PM me with the pictures, thanks in advance. I don't have any PayPal/Credit account. I can send the US and Canada Postal money orders with the tracking numbers very quickly. Please let me know who have this listed, thanks! 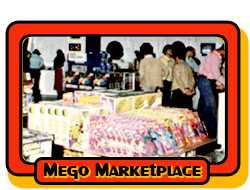 Currently looking for a the following Mego’s (Original parts only if possible). Mego Robin, Shazam, Soldier Ape (blue jacket), Aquaman & Joker. Mego Batman original gloves, boots, & Spock’s blue tricorder. Last edited by piecemaker; Sep 1, '12 at 9:43 AM.